We've only eaten out once in the last two weeks, because as it turns out, I am a meal planning superhero! (I will keep on telling myself this until it's actually true.) But already I've come up against some roadblocks, and I'm currently working out the kinks on a situation I've tenderly started to call "the spaghetti situation,"which goes like this: Brandon loves spaghetti. Spaghetti does not love Brandon back. Brandon's got some fairly epic acid reflux, so a lot of foods don't love Brandon back. Which is too bad because he's so darn lovable! ;) Brandon, of course, continues to request weekly spaghetti (and other foods like spaghetti). It's a total situation. Brandon's seen a specialist and he takes medication, which helps. (He finally refilled his rx today after being out of it for almost 2 weeks--dudes are so weird.) I try to give him "the look" whenever he reaches for an orange after 7pm. It's all very matrimonial and old-people of us, it kind of cracks me up. But every now and then, once or twice a week, Brandon will work late and I'll get a night to eat whatever kind of heartburn-y food I want to without feeling any guilt at all! Like kimchiiiiiiiiiii. Kimchi is really good for you, but it's also super hard on sensitive stomachs. Did you know kimchi is suspected to be the cause behind Korea's crazy high stomach cancer rates? (Only when eaten in, like, mass quantities, but still.) We ate a ton of kimchi when we lived in Seoul (and ramen! which we pronounced "ram-yen" and which was a point of conflict with my cousin Andrew when we came back to the states), and it's still a kind of comfort food for me. It reminds me of my dad, of my kindergarten class at Seoul Foriegn School, and of afternoons in our high rise apartment when it was just me + Amanda listening to the Jackson 5 while our "ajumma" prepared lunch in the kitchen. 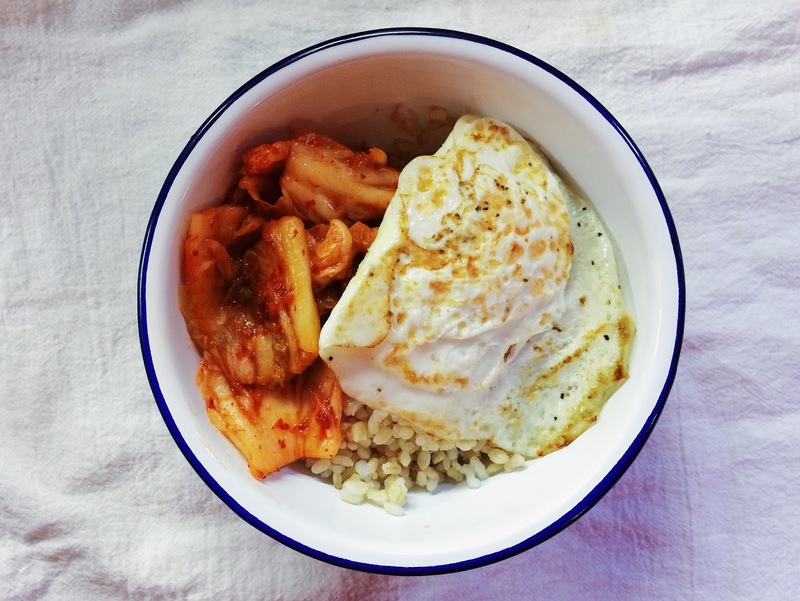 My favorite way to eat kimchi is over a heaping bowl of brown rice + topped with a fried egg. Leave those yokes runny. Sooo good. Should you be blessed with a house full of strong stomachs, here's how you can make kimchi at home! 1. In a large bowl, combine chopped cabbage and salt. Mix until evenly coated. 2. Add cold water until cabbage mixture is fully submerged. Cover and let sit for 24 hours. 3. Drain and rinse cabbage. Set aside. 5. Add cabbage to mixture and toss to combine. You can eat your kimchi immediately, but more traditionally you'll want to pack the kimchi tightly in a jar and leave it to sit in a cool dark place for at least 24 hours and up to five days before eating. The kimchi may bubble or leak as it ferments, so set it on a plate or a tea towel to catch any mess. Can be kept in the fridge for up to a month. Enjoy! 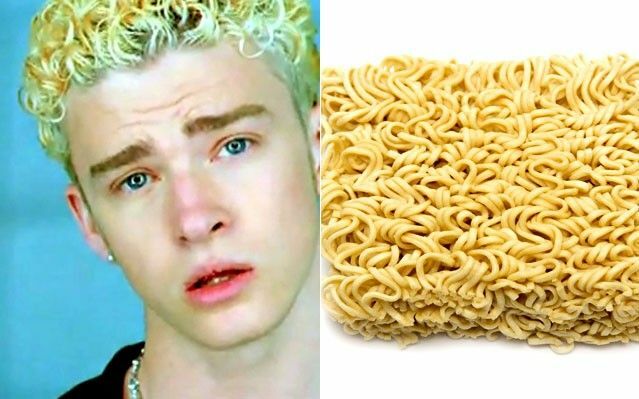 Related: ramen noodle hair, and a ramen noodle bath. We used to have a big argument in my family about whether it was pronounced "rah-men" or "ray-men". Drooling. I miss Korean food so much and the closest restaurant is three hours away! you know, to each her own in life (and refrigerators). but. BUT. kimchi. so strong. in smell and taste. my husband LOVES it and has been known to invest in a gigantic tumbler full of it from the asian grocery store (that's his idea of an impulse buy... my idea of an impulse buy is a cute scarf. WHATEVER!) from time-to-time. tragically, he's very messy in the kitchen and kimchi somehow always ends up oozing out of the top of the container a bit and getting all nice and smeared into the shelf it sits upon. do you know what it's like to be greeting by the smell of kimchi every time you open the refrigerator? well, it's an appetite ruin-er for me, and that's the truth. thankfully, there has been no kimchi in our fridge for a while now. i support his kimchi acquisition, so long as it is consumed at, say, a korean restaurant. but i just don't think i will ever get on board with kimchi in mi casa. so there is my kimchi story. but seriously, i do hope you enjoy your kimchi. This sounds so good! I've never had it before (I KNOW GASP) but everyone raves about it. I should probably taste it at some point to see what I'm missing out on. I would LOVE to try this...sound so good, and good for you! Hope it helps your dude! At home, Hot beverage, on the dark, hardy cup of, ......dumb spellcheck. Aaaaaaaah, this made me so happy to see!!! 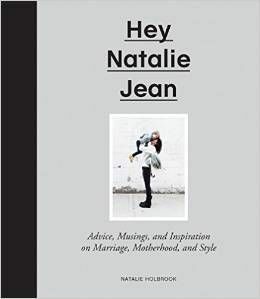 From one Korean gal to an honorary one…hooray! My husband and I are currently living in Korea. I will definitely miss the kimchi when we leave, so thanks for the recipe:) Also, it's neat to hear that you attended Seoul Foreign School...we have friends who teach there, one of whom also attended when he was young. It seems like a great school (with awesome views of the city from rooftops! ).